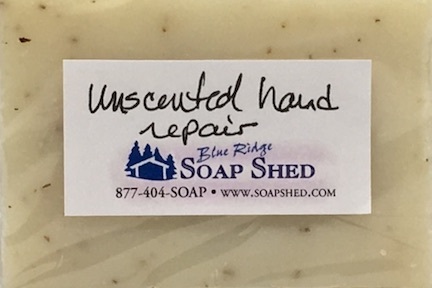 Our Unscented Hand Repair soap for moisturizing dry hands is made with comfrey-infused olive oil, castor, coconut and palm oils, cocoa and shea butters, and medicinal herbs, to produce our most moisturizing soap - with no fragrance added. 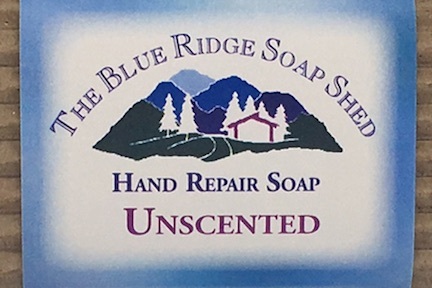 All of our Appalachian Crafters' Hand Repair Soaps are made with Shea and Cocoa Butters, Avocado and Almond Oil, Comfrey-infused Olive Oil, and medicinal herbs of Nettles, St. John's Wort, Marshmallow and others traditionally used to promote healing and comfort for dry skin. 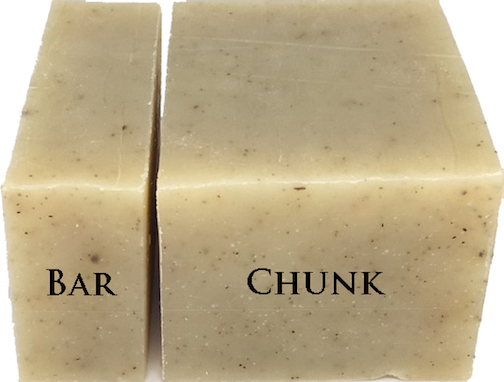 As an unscented hand soap, the only odor you may pick up is from the natural odors of the oils and butters we use to create the soap. 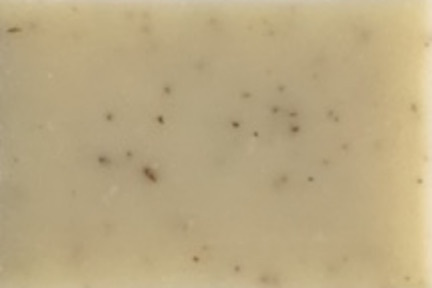 This shea butter soap was created to soothe and moisturize dry hands, but if you like an exfoliant as your bath or facial soap, this soap is safe to use as an all over body soap. We originally created our Appalachian Crafters' Hand Repair soap for a mountain basketweaver, whose hands were dry, nicked with cuts, and sore at the end of each long day of crafting. No ointments or lotions could be used for protection or healing because her hands had to be perfectly clean to handle crafting materials the next day.All Crafters' bars are colored some shade of green by the Comfrey leaves, and flecks of ground herbs can be seen throughout most bars. Ten scents available, plus unscented.